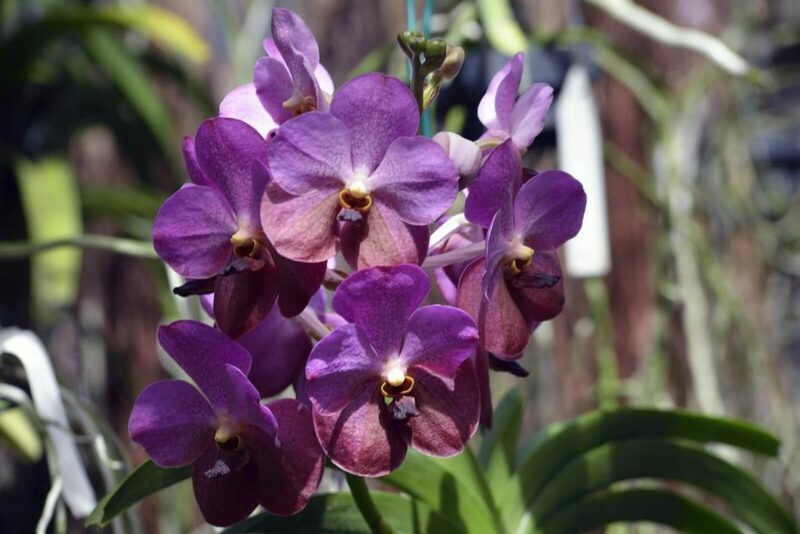 This year the Barbados Orchid Society celebrates its 80th Anniversary. The group then called The Barbados Orchid Circle, formed in 1939, after realizing the popularity of their exhibits at the Barbados Agricultural and Industrial Exhibition and other flower exhibitions of the day. This general appreciation meant that orchid exhibitions grew from a small wooden booth display to large, thirty-foot metal enclosures filled with a colourful variety of tropical orchids. As the displays grew, so did the crowds. In 1992, the name if the group was officially changed from The Barbados Orchid Circle to Barbados Orchid Society. Still blossoming, the Society continues to stage biennial shows at various locations across the island, as well as exhibit at various overseas shows. Furthermore, they continue to meet at a member’s home on the second Sunday of every month. 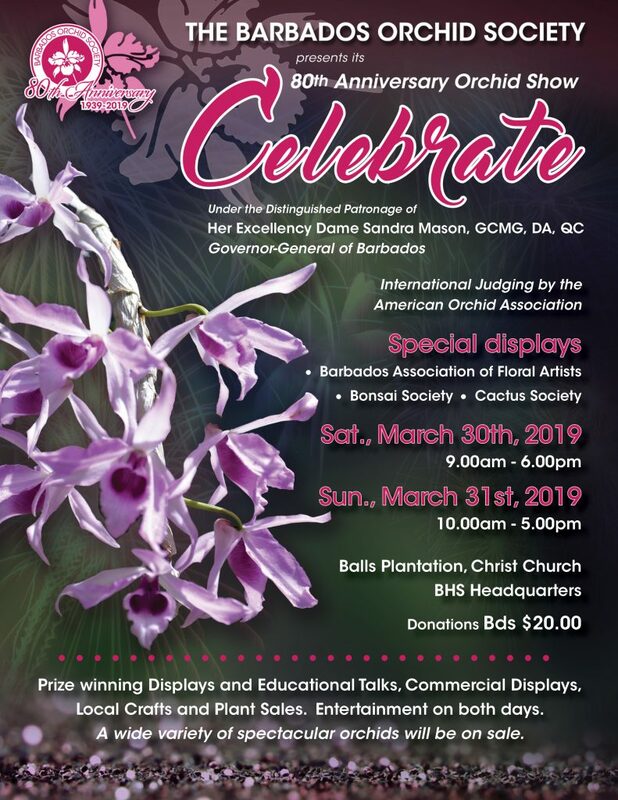 In celebration of the 80th Anniversary, the Barbados Orchid Society will showcase an 80th Anniversary Orchid Show on March 30-31, 2019.